Written by leading scholars, the CEB Study Bible helps readers understand the biblical texts within the larger historical and literary framework of the Bible through book introductions, thousands of notes, more than 300 articles, and full-color images throughout, revealing cultural contexts and exploring relevant background information—while always seeking to inspire. Sometimes we need a little help to understand ancient meanings and to line up the rich layers of history and revelation. The CEB Study Bible is a readable, reliable, and relevant invitation to grow in God. Sample the CEB Study Bible. Look up Your Favorite Verse of the Bible. 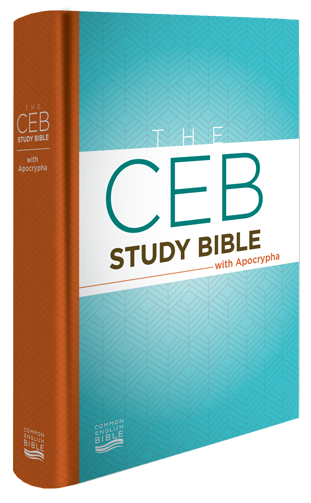 If you are a professor or teacher who wants an exam copy of The CEB Study Bible, please follow the instructions on Abingdon Academic to request one.